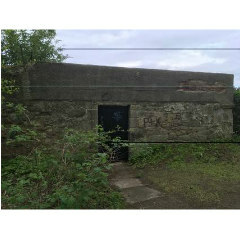 With the building of Granton Harbour in the mid 1800s, the Duke of Buccleuch saw great financial opportunity with land either being leased or sold off for commercial and industrial development in the area. 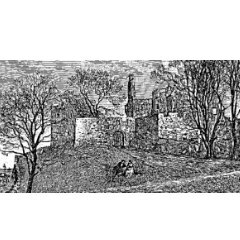 As a result, the Castle became neglected and by the mid 18th century it was already described as being in a ruinous state. Following the First World War, the Castle was bought in 1928 by a quarrying company Bain and Brown who demolished it to quarry the stone underneath it, but left sections of the wall in place. 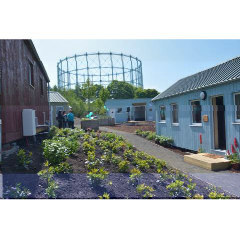 The Walled Garden survived and was bought by John Smith, market gardener and the business stayed in the family until 2005 when it was sold to the City of Edinburgh Council. 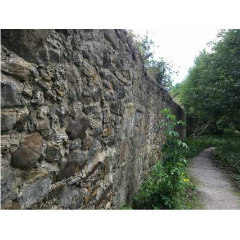 Friends of Granton Castle Walled Garden are now working to ensure that this beautiful community asset is safeguarded for the future. The new Social Bite village in the shadows of the Gas Works. Photo from the John Dickson collection.